A range of scholars, writing from sociological, historical, socio-psychological and political perspectives, present analysis and research that shows the Alevi communities grouping and regrouping, defining and redefining – sometimes as an ethnic minority, sometimes as religious groups, sometimes around a political philosophy - contingently responding to circumstances of the Turkish Republic’s political position and to the immigration policies of Western Europe. 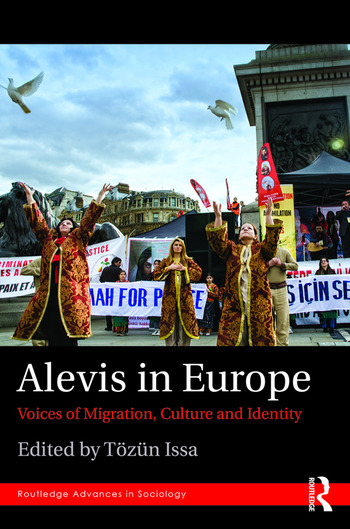 Contributors consider Alevi roots and cultural practices in their villages of origin; the changes in identity following the migration to the gecekondu shanty towns surrounding the cities of Turkey; the changes consequent on their second diaspora to Germany, the UK, Sweden and other European countries; and the implications of European citizenship for their identity. This collection offers a new and significant contribution to the study of migration and minorities in the wider European context. Tözün Issa was a senior lecturer and the Director of Centre for Multilingualism in Education at London Metropolitan University. He worked as a course tutor in teacher training programme for bilingual teachers and lectured on inclusive education and minority rights. His research interests included bilingual education and the education of the linguistic minority communities and he coordinated a number of research projects and organised conferences. He also coordinated several community education programmes, particularly around Supplementary Schools in the UK, and wrote extensively on this. His most recent book, co-authored with Alison Hatt, was Language, Culture and Identity in the Early Years (2013).